With all of the tasks human resources is given, often the number one goal of HR is overlooked: Building Professional Relationships! We are the leading provider of human resource services designed to take your organization to the next level with a focus on improving employee relationships. Here at HRCentral, we pride ourselves on learning about and truly knowing our clients. We want to know your culture and strive to find solutions that work for you. Since 1989, HRCentral has been partnering with organizations to find better ways to manage employees. We approach human resource management with a balance between today’s complex legal environment and current economic realities. Compliance and risk management are essential for every human resource function, but we believe that every organization can do better. We were founded with the belief that every organization can increase communication and cooperation among employees through better tools and training for management. This means you, management and employees are focused on productivity and professional relationships that ensures your business will succeed. David runs HRCentral with the belief that human resource management can be done better. He strives to create HR services that are as unique as your business. 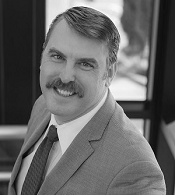 David holds a Bachelor of Science in Management & Communications in addition to his Juris Doctorate earned at Willamette University College of Law. His professional background includes human resource management, management and executive training, and payroll management. 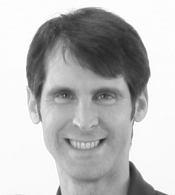 David utilizes his experiences and unique approach to problem solving by providing management training, organizational development, team dynamics, and group communications. Christina manages the administrative functions of HRCentral with her top priority being building and maintaining relationships with her clients. She manages HR functions by providing necessary advice, preparing documents, maintaining records, advising on employee relations, and providing clients prompt, efficient, and confidential service. 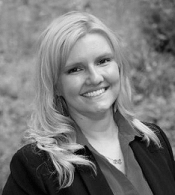 PHR certified, Christina holds a Bachelor’s degree in English with a minor in Psychology, and possesses over 10 years of HR management and business and technical writing experience working with organizations ranging in size, organizational structure, and location. Michael brings over 20 years of computer development, training, and support experience to HRCentral. Michael’s background includes several years as an instructor teaching high-level data management, data security and information technology courses, network administration, lead developer and architect, and Chief Technology both full-time for HRCentral Corporation and AMS Collaborator.